If you are looking to promote your garden’s growth and health, our mulching service is for you. Yard mulch provides insulation for the soil around your plants, retains water to better regulate your plants water intake, helps with weed prevention, and keeps soil from compacting. 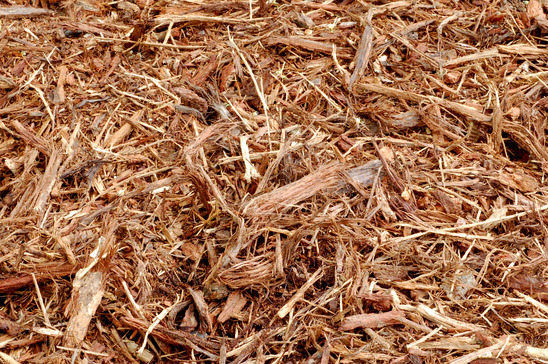 Wood chip mulch is commonly used by many mulching companies, typically shown as a dark brown mulch. Though, wood mulch can be bought in a variety of colors depending on what type of tree they were ground from. Our mulching services offer a great selection of mulch options. If you would like to have your yard mulched, call us today for a free estimate. There are many pros to applying mulch to your lawn or garden. Mulch is ground from dead trees and used as a recycled plant fertilizer. If you use mulch in your garden, it will not only promote the growth of your plants, but also acts as a decomposable nutrient as time goes by. Since wood mulch is organic and biodegradable it serves as a benefactor to your plants throughout its entire existence. Once it has degraded, it becomes food for the plants itself; it’s a double win. You should be wary about purchasing cheap mulch products as they can be the result of improper background checking and sterilization. This means that the mulch could still be carrying toxic chemicals or fungus from before it was ground up. 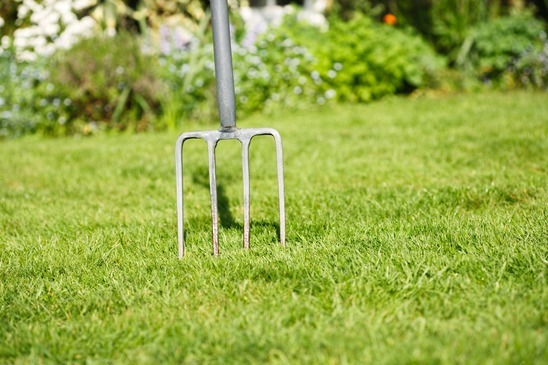 If you use this cheap mulch, it could potentially have harmful effects on your lawn. Ask us your questions and we can advise you on a few reliable brands with varying prices so you can make the choice that fits your budget. PowerBlade Lawn Care provides mulch services that will make both you and your lawn happy. Trust us to steer you in the right direction. Rubber Mulch, unlike wood mulch, is ground up from old tires typically. The tires have their metal bands removed and are ground up into chunks or nuggets of rubber. Any tire can be recycled to make rubber mulch. There are both advantages and disadvantages to using rubber mulch. As explained by our friends at Langley Landscaping Services, rubber mulch proves a better alternative than natural mulch for preventing weed growth due to it being inorganic; it also better insulates soil from heat (differentiating 2 to 3 degrees from natural mulch), and can serve as a good surface for playgrounds. Rubber mulch’s elasticity is its main feature, allowing for softer falls; some rubber mulches have been certified for ASTM F1292-09 by the International Play Equipment Manufacturers Association. 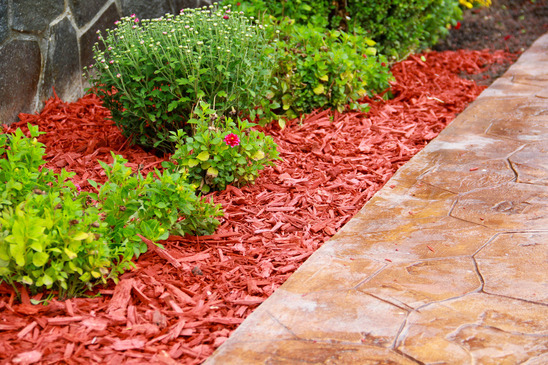 Due to rubber mulch’s non-porous texture, it does not absorb any water as it travels to the plants’ roots. It also has the added benefit of being extremely long-lasting and reusable. There are also a few disadvantages to using rubber mulch. Since it is not organic, rubber mulch provides no soil enrichment from decomposition. 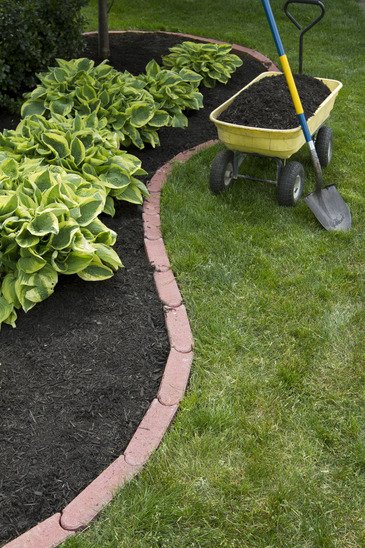 Recycled rubber mulch can sometimes carry toxic chemicals, which could cause issues. Lastly, much like natural mulch, rubber mulch is hazardous if ignited.